Crystals most definitely have a “lively” energy. Unlike other living beings on planet earth, they do not require a source of food, yet they do radiate energy. Crystals do form and grow, but once formed they do not die. In terms of such understanding of “Life” on Earth, crystals are not “alive.” Experience points to the possibility that crystals are the universe’s natural version of “artificial” intelligence– devices that can sense and learn, and can store and transmit information. Yes! You can use the crystals environmentally to generally support the session, and to support your own energy. Working one-on-one with people is intense and demanding, especially if you are a full-time professional, seeing 6 – 8 people per day. As far as your clients are concerned, they don’t have to have metaphysical interests in order to accept crystals in the environment. Crystals are very attractive and make for décor that everyone enjoys. Some clients will eye the crystals and ask whether they have added significance. This is a cue to share your interest in crystal healing. Some clients will request to experience crystal healing and others will not. The client’s choice must always be respected and it is wise to only provide services that the client has implicitly contracted you to provide. If you want to add crystal healing to the service it is necessary, in terms of professional integrity and ethics, to get the client’s consent. 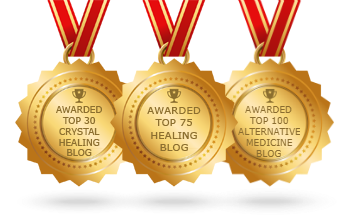 What is the big difference between 21st Century Crystal Healing Techniques and other methods of crystal healing? The difference is in the “how.” In 21st Century Crystal Healing Techniques we have new ways of working with crystals. The crystals are used as “surgical” tools. We have discovered that correctly handled the right tools, and the right minerals, deliver a precise and specific effect with unexpectedly amazing results. Yes, these techniques are new, and unique to the Crystal Surgery style of crystal healing. This style of working with crystals was developed by Vivien Schapera and she is the original (human) source of this knowledge. Yes, not only is crystal healing safe for children, it is extremely beneficial. Children are much more sensitive to crystals than most adults. Remember when working on children that they have a completely different vibrational frequency so the “feel” of working on them is different too. Another guideline to remember is to halve the amount of time you spend working on children. Small children can be placed on your lap and can receive healing for the amount of time that they are willing to sit there. For babies and very small children, it is best for them to sit on the parent’s lap, and for the work to be administered to the adult and transmitted to the baby, through the parent’s energy field and physical connection to the baby. The only talents that you need are the interest to learn and the motivation to practice. The techniques, correctly done with the appropriate tools, consistently deliver the described results. Techniques that depend on undetermined innate skills are not published. Techniques that don’t work consistently and reliably are discarded. Techniques that require additional talents – such as well-developed intuitive skills – are reserved for the more advanced courses. How reliable are these crystal healing techniques? Crystal Surgery techniques have been developed and researched very systematically by Vivien Schapera, and her students, for over twenty years. Only techniques that have delivered consistent and reliable results to all who test them, have been published. The crystals needed for the first few courses are all easily available from online sources. Guidelines for choosing the crystals, including expected pricing, are carefully laid out in the free Foundation Course. In the beginning of learning crystal healing, you need only buy crystals according to what you want and can afford. The initial courses consist of a series of techniques that can be done with the same crystals. The free Foundation Course lists the crystals that you will need to get started with these techniques, and there is also Course 3, called Use What You’ve Got, which describes how to substitute, and adapt, if you don’t have the exact crystal named. Once you have confirmed for yourself that you want to follow the path of crystal healing, you will want your collection to grow. Can I become certified in Crystal Surgery and this style of crystal healing techniques? Yes, at the moment you can become certified in these techniques by attending courses at FourWinds Academy in Cincinnati, or by contacting one of the trained instructors in the USA, Canada and South Africa. [Link to list of instructors and their contact info] As crystalhealingtechniques.com evolves, certification courses will be added to this web site. Are there any particular spiritual beliefs associated with crystal healing? Crystal healing is independent of any spiritual or religious belief system, and does not set up any tenets or principles that conflict with personal beliefs. Many Energy Healers choose to work with guidance from the spirit realm, and this includes many people involved in crystal healing. However, the impact is the same as going to a medical professional who has her own personal religious and spiritual beliefs which enhance the sense of service, and of love and compassion, for fellow sentient beings. The client can benefit from the practitioner’s cosmology without joining in the belief. Crystal Healing works independently of beliefs. We do not have to “believe” in the sun to receive its benefits. The sun is the sun regardless of belief. 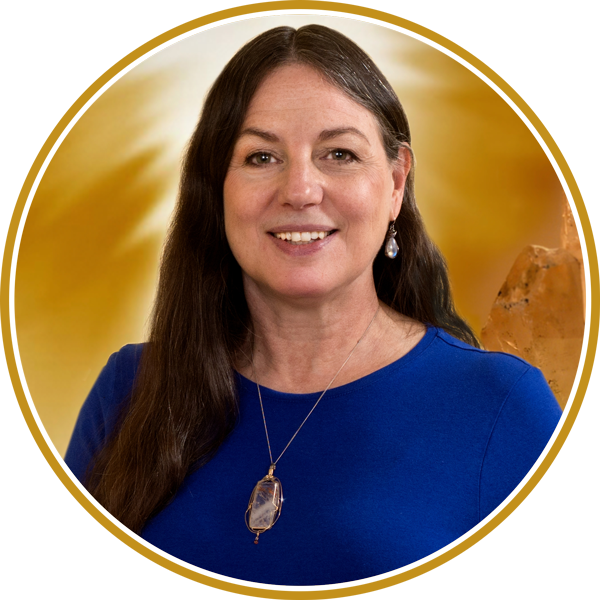 Likewise with crystal energy – it just is what it is, regardless of belief. Crystals are used extensively in science because of their properties, and we know that minerals are essential to correct functioning of our bodies. For example, we require iron for our blood to be able to carry and deliver oxygen to all the cells of our bodies. We all know that plants contain healing substances, and actually, we do all know that minerals do too. The key is to know which plants, and which parts of the plants, and how to correctly process the plants to extract their healing properties – and likewise with crystals.